This statistic shows the life expectancy at birth in Belgium from 2007 to 2017, by region. 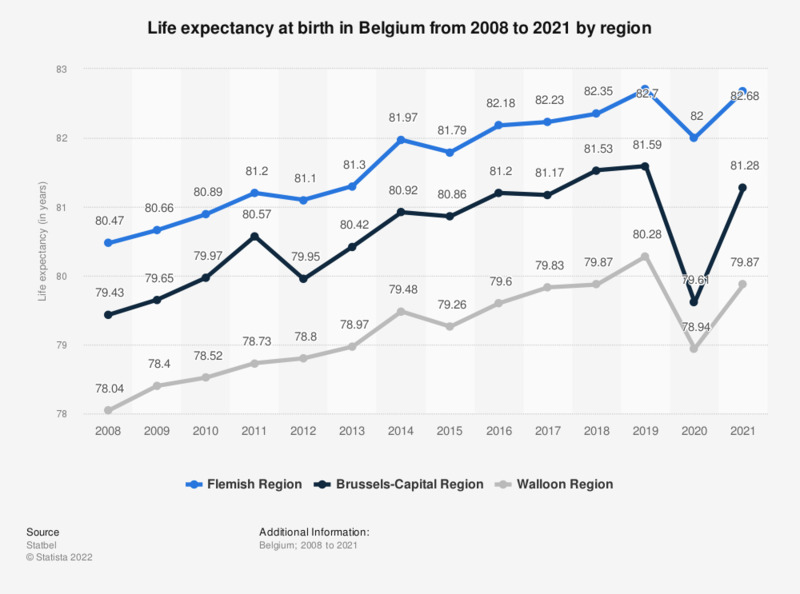 In 2017, the life expectancy in the Walloon Region was 79.83 years, the life expectancy in the Brussels-Capital Region was 81.17 years, and the life expectancy in the Flemish Region was 82.23 years. Belgium is divided into 3 regions: the Flemish Region, the Brussels-Capital Region and the Walloon Region. Each region has its own Regional Parliament and a Regional Government. Life expectancy: the number of years someone is expected to live when born in the year indicated.